Justin's spent the past half of a year feverishly doing stuff out in the studio. Now Terra Nova has been transferred to analog tape, the studio has a thicker door, the mic cabinet has nice foam cutouts inside ... all kinds of nice stuff. Time to spit on our hands and start working on the next record. Before we begin writing the next record, Justin's also decided to put together a bunch of stuff from Polonium, the band that we were both in (and pretty much the band that we were) before the Austerity Program. One recording, from 1993, is salvagable enough from the 4 track tape we recorded it on. The other one, from about 1996 or so, isn't. So he's taken it on himself to rerecord it again. It's still fun to play these songs that we like, except the lyrics are a little cringe-worthy from time to time. Here's an example of one of the songs that he did last night. 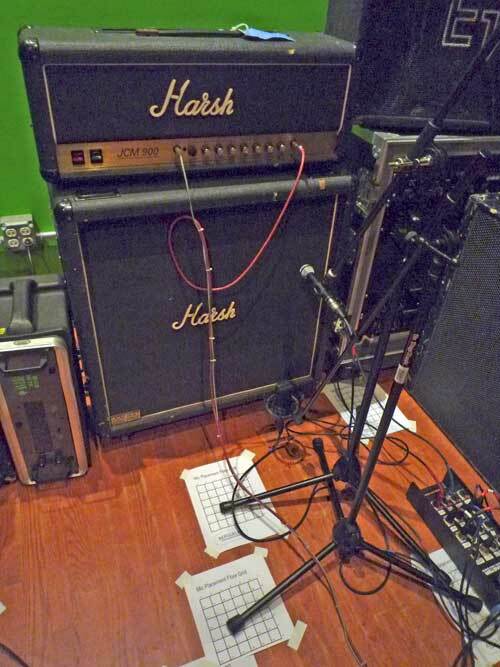 The guitar tone still needs a little work. Hopefully it'll be done by the end of the year. If so, we'll make it available sometime shortly after that. Oh, hey. 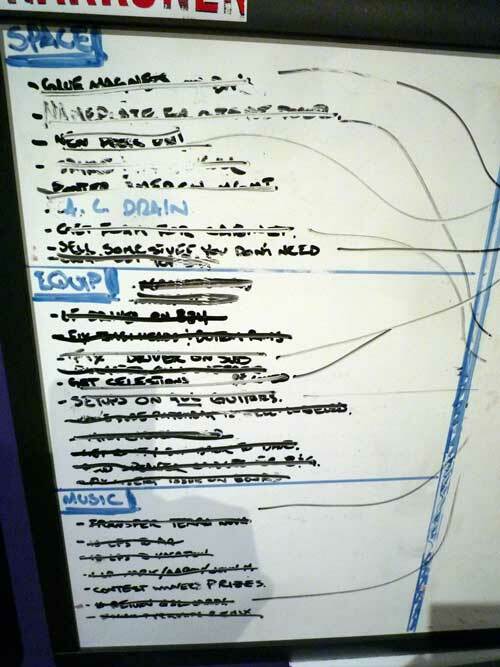 Justin's also still picking away at the pre-production journal from the EP. Only about a year or two late on that one, Foley. 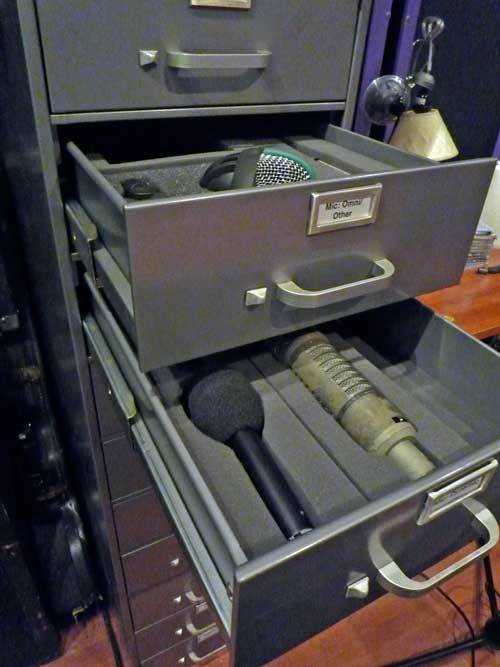 [ Here ] is a copy of the latest dispatch: selecting a microphone for recording vocals. See? There's like special little slots for each mic that we cut out of foam and everything. And this is the whole reason anyone wants to be in a band at all these days. Things to do list, and they all eventually get crossed off. Eventually. Uh oh, this again. See the paper taped to the floor, right? Must be late night mic placement experiments for Justin.